Gucchi was found in an empty house having been abandoned when the previous occupants moved out. 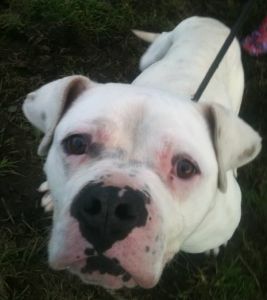 He was in a poor condition and very scared when the dog warden found him and got him to kennels. Gucchi spent some time at the pound and sadly as there was no more space for all the new dogs coming in and no one wanted him he was due to be put to sleep. 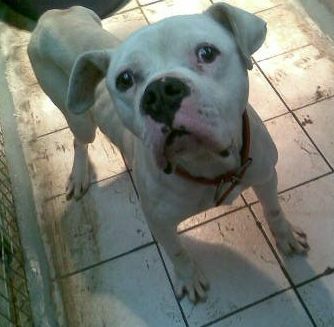 Another organisation similar to ourselves was trying to find him a safe place at a non-destruct rescue when we saw his picture... and knew we had to help this boy. We were not sure what to expect when he arrived - but was greeted by the most amazing dog, who won everyones hearts. The vet was unable to examine him at first as he was very giddy and hyper but it was soon noticed he had some kind of deformity on his back legs - maybe from being locked in a crate as a youngster. 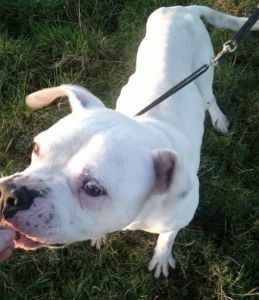 He went to the vets where it was hard to work our what was going on with his legs, he had no muscle mass at all and was underweight. He also had some pressure sores so loved his new duvet too! 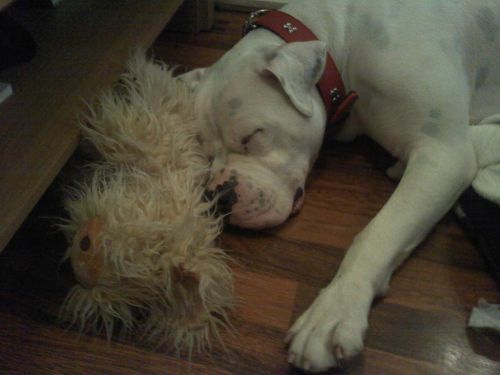 He became a firm favourite at the kennels with his happy-go-lucky nature. As he started to heal we were able to assess him properly and get him neutered and monitor his health, we decided rather than move and upset him again we would look for a very special home for him ourselves. A lovely couple found his picture on the website and got in touch. We weren't sure if they would love his puppyish ways - but luckily they fell for him too. Gucchi, now Archie went off to his new home, with a few tears from the team as he left, and is really blossoming in his new home and proving himself to be a very good boy! We are so glad to see him happy in a home environment after whatever has been in his past - and wish his new family many more years of fun with him!